Have you ever wondered what it must be like to feel the silence, in a busy, bustling city like Hong Kong? 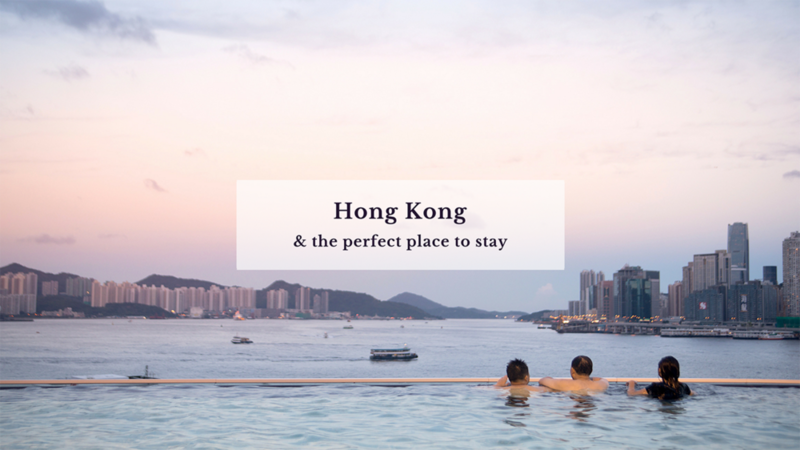 If so, then you should definitely read on and hear about a little slice of paradise I found on the Hung Hom harbourfront. Right in the centre of Hong Kong. As you can read in my last blog (10 cool photo spots in Hong Kong), I was lucky enough to have visited the exciting, lively city of Hong Kong. During the stay, I was delighted to have the opportunity to spend a few nights in the beautifully designed and luxurious Kerry Hotel, which forms part of the Shangri-La family of hotels. On arrival, I was stunned into silence by the impressive location this hotel is situated in. The 16-storey hotel makes a strong first impression. It is positioned right on the water's edge and simply has the most incredible views, all around. 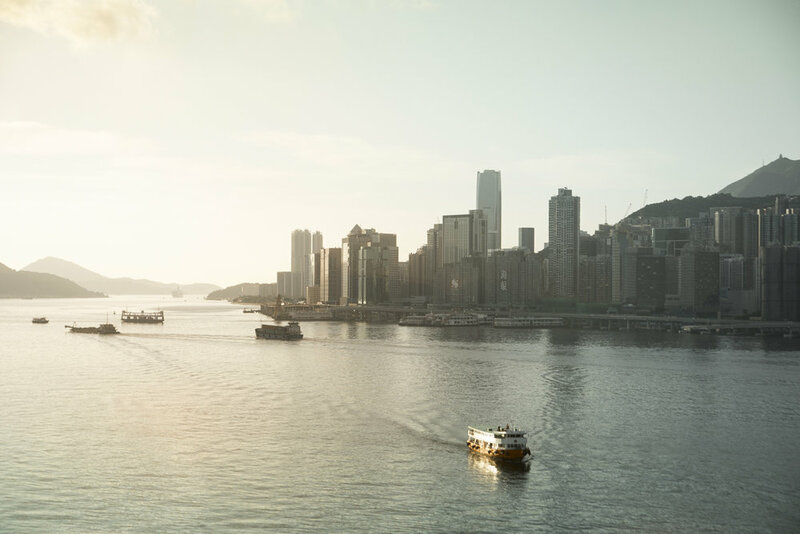 Even more mesmerising were the memorable views from my well-designed room, which was overlooking the east side of the picturesque Victoria Harbour. Here, one thing was for sure, I would definitely unwind and find relaxation. The view from my room was simply stunning. Red Sugar panoramic terrace bar, while drinking a cocktail (or two). It was an amazing experience and the relaxed and refined atmosphere allowed me to rest in the most perfect of surroundings and seemed to round off arrival the start of my first day. From the Sugar Bar, you have an outstanding view over the Hong Kong skyline. Waking up the next morning was like a dream. Having the chance to watch the sunrise above the harbour, from the panoramic view in the room, makes you not want to watch it all day. Sadly, that moment had to be cherished, as I had to move on since I wanted to take in so many of the highlights Hong Kong had to offer. View from my window, it is calm before the sun rises. Enjoying a sunrise, while relaxing in the 82-foot-long infinity outdoor pool. Before leaving the hotel and setting off on my daily adventure. I had one last chance to be amazed once more. Just when I thought things couldn't actually canâ€™t get any betterâ€¦ there was the breakfast. With an astonishing array of food laid out before me, the breakfast and the food, was simply divine. Fresh, well presented and wonderful to eat. With attention to detail and quality of service, I can simply fault the way I started my day. Locally-based and one of Asiaâ€™s hottest interior designers AndrÃ© Fu, designed the 16-story property which displays more than 1,000 pieces of artwork sourced from all over Asia. He was behind virtually every detail of the hotel, from the staffâ€™s uniforms to the art curation, floral design and landscaping. To maximize the hotel's waterside location, the property has landscaped gardens framing views of the setting that surrounds Victoria Harbor. The lobby has 26-foot-high curved glass windows, linking the outdoors with the interior design, which is an amazing entrance and makes it a truly beautiful place to sit back and relax. The lobby window gives a spectacular view over the harbour. Lots of details here have curves, and are originally designed to form waves. I feel I had the perfect stay at The Kerry Hotel and I was humbled by the overall dedication and hospitality the staff gave me. It was such a heartwarming experience and a nice welcome, that I will never forget. The service was warm, friendly and ultimately very professional. This is more than a hotel. It offers a relaxed, luxurious haven away from the chaos of the city. And I would thoroughly recommend you make a visit here, during your time in Hong Kong. To book a stay at the Kerry Hotel, click here. I want to thank The Kerry Hotel for this amazing experience, I definitely hope to come back to this amazing place one day!